Today people are very exhausted with the normal daily life routine, it becomes so hectic and busy that they don’t have time for mental peace and relaxation. Most of the people are suffering from depression and tension and reasons are not only hectic schedule but there are so many existing reasons behind this that no one can even think about those reasons. Working lifestyle, living style, eating habits and types of food and so on; you may be affected by any such habits. Yoga and disciplined living style are the best ways to rejuvenate your life. Join our program 15 Day Yoga Retreat In Rishikesh where you will be addressed with various forms of yoga and how you can boost your lifestyle for the happiest and peaceful life. Why Yoga for a Better Life? Yoga is very popular especially among those people who are looking for a healthy life and mind along with flexibility and strength in body and want to lose weight. Well, you can practice it at your home or if you want to know it in a better way, a yoga classroom will be best for you. Once you become a regular yoga practitioner you will get to know that its benefits are much more than just a workout and keeping in your shape, in fact, it also helps you attain the maximum relaxation while reducing your stress. Yoga is not related to exercise only, but it is a philosophy and a way of life and you will know about more about it once you immerse yourself into the yogic lifestyle and experience the transformation first-hand. It is so true that if your mind is stress-free and relaxed then the entire world will be in the correct place. 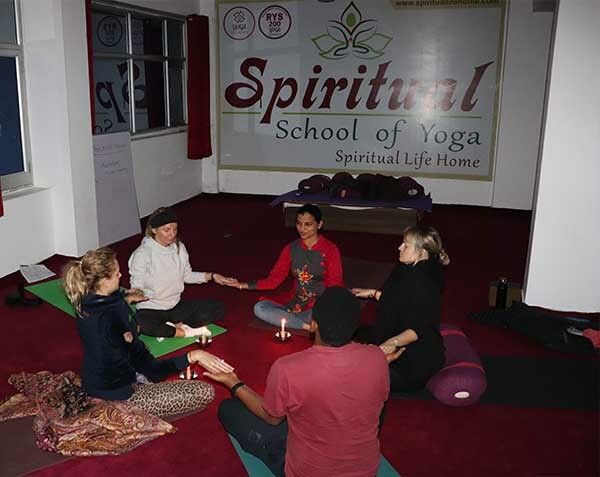 Spiritual Life Home gives you an amazing way to learn Ashtanga, Vinyasa, Hatha yoga and meditation in Rishikesh which would be the best destination for yoga learning and practices. A place away from all hustle bustle, surrounded with a completely harmonious natural environment giving you a perfectly peaceful and spiritual place to learn yoga. Through 15 Day Yoga Retreat in Rishikesh, we are about to spread awareness about yoga among people and make them understand about its different forms and postures along with its benefits and positives that will affect your body and life. With different forms of yoga including Ashtanga, Hatha, Vinyasa yoga and more, a person will find motivation, inspiration and live a better life. 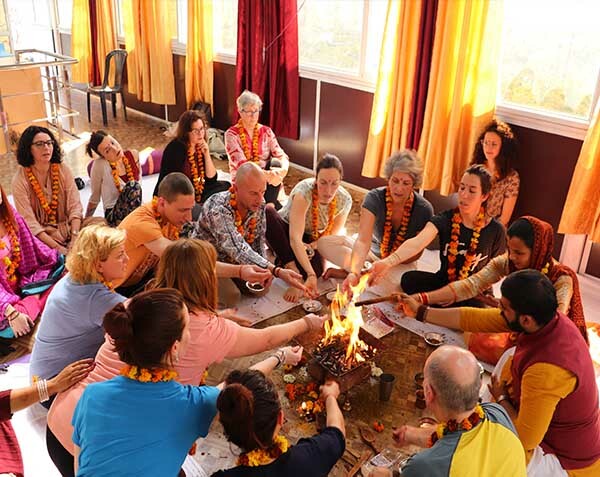 Whether you are looking for peace of mind, a healthy life, a spiritual peace, the yoga retreat in Rishikesh will help you to get a better version of yourself. We are providing a traditional style of yoga through the program of 15 Days Yoga Retreat in Rishikesh. It also includes a complete knowledge and understanding of Yogic life, yoga philosophy, different forms of asana and Pranayama, anatomy, various forms of meditation techniques, spiritual life, mantra chanting and many more. Our trainers and therapists have enthusiastic knowledge of yoga, meditation, Ayurveda and other spiritual techniques; they are more focused for personalized and individualized learning, so everyone will get proper learning of yoga. 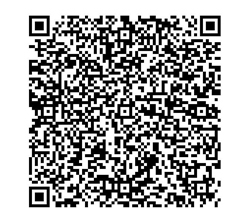 Note: Special discount price for double shared room 1,030 USD and for private room 1,180 USD till the end of June 2019. Satvic life yoga retreat helps to enhance your practice and promote a calm mind. This retreat nourishes the body and maintains it is an peaceful state. This retreat can be described as being clear, divine in nature and pure. By this retreat your goal would be achieve the state of being to fulfill your spiritual destinies and enjoy ultimate health of mind-body-spirit. Daily 3 satvic meals (Breakfast , lunch, dinner). 15 days & 14 nights of relaxing accommodation. Bag with the organization symbol. 1 full body ayurvedic massage with herbal oil. 2 excursions to special spiritual place in Himalayas. Satvic Life yoga retreat is a perfect Program for everyone who would like to extend yoga practice. This retreat is best for physical strength, a good mind, good health, and long life. Satvic life yoga reateat is rooted in the traditional script of Hatha Yoga Pradipika, Gheranda Samhita, Patanjali Yoga Sutra, and Yoga Upanishads. This is ideal retreat for yoga teachers, practitioners of meditation and Kundalini Yoga. Dedicated workshops sessions on mantras, meditation, discussing spiritual philosophy. Guided excursions to special spiritual place in Himalayas. Fee includes accommodation, guided excursions to places of spiritual place, one ayurvedic full body massage, three meals and teaching supplements. 08:30 - 09:30 Pranayama: breathing exercises. Freshers who are beginner in yoga and interested in relaxing and balancing their body and mind whether intermediate or advanced. Introduction of “Law of Karma”, “Raja Yoga”. Introduction of Meditation & Pranayama. Five Causes Of Pain & Depressions / causes of succsess and failure. Basic Pranayama Techniques & Benefits Jal Neti, Kapalabhati, Nadi Shodana with retaining and without retaining, bastrika, surya bheda.